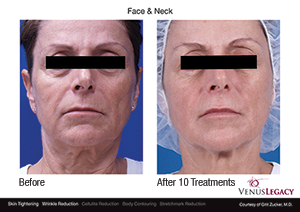 What is the Venus Legacy™ Skin Tightening Treatment? 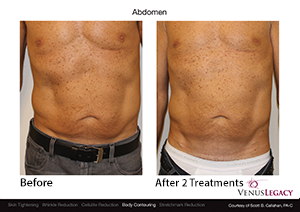 The Venus Legacy™ is your best option for combating stubborn fat areas and cellulite. It combines VariPulse™ technology with our proven 3D™ MP2 energy, causing it to travel deeper into the skin resulting in increased blood circulation, immediate plumping, and glowing skin.